On September 11th 2001 the world as we knew it, changed forever. September 11th is now known as Patriot Day, to honor those who keep us safe. will host a game to benefit Wounded Warrior Project. Wounded Warrior Project was established in 2003 in Roanoke Virginia. It began when several veterans and friends, moved by stories of the first wounded service members returning home from Afghanistan and Iraq, took action to help others in need. What started as a program to provide comfort items to wounded service members has grown into a complete rehabilitative effort to assist warriors as they recover and transition back to civilian life. Tens of thousands of wounded warriors and caregivers receive support each year through Wounded Warrior Project programs designed to nurture the mind and body and encourage economic empowerment.Kenowa Hills will be wearing a specially designed digi-cam jersey. 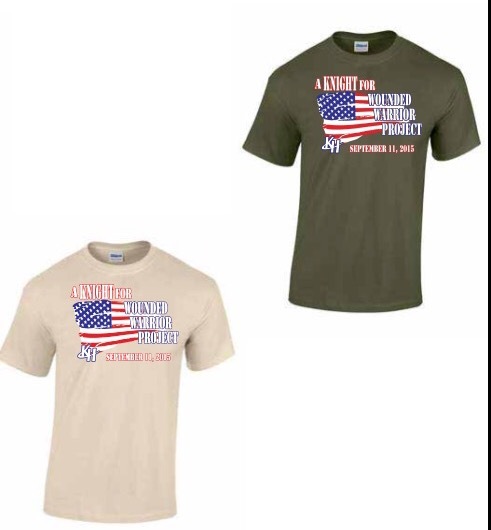 Please help us honor our veterans and support a great cause like Wounded Warrior Project.